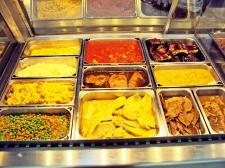 Our home cooked hot foods offers a quick and easy way to satisfy that lunch or dinnertime need. Take home a bucket of our delicious fried chicken and jojo’s. Planning a party? Ask one of our experts today - they can help you decide what to get and how much you will need.